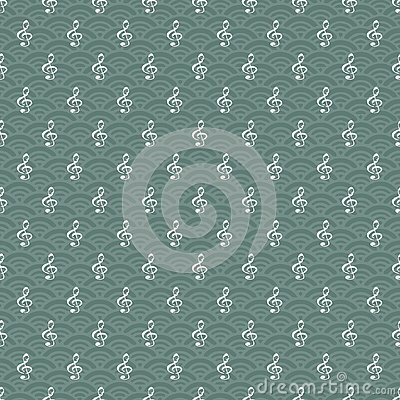 Geometric pattern with clef key in vertical and horizontal layout layered with oriental waves. Seamless repeat pattern for gift wrap, textile, fabric, scrapbooking and fashion. Futuristic electrical waves rendered in 3D. Young man practicing mindfulness with music.